Sainsbury's, BT and Heineken have been revealed as the three most-shortlisted brands for this year's Marketing Society Awards for Excellence. Sainsbury’s - which, along with Asos and Channel 4, cleaned up at last year's awards - has been shortlisted in six categories, the most of any brand, including Social Media Marketing, Content Marketing, and Long-Term Marketing Excellence. The shortlist (in full below) for the latter category also includes Aviva, easyJet, Heineken and Lafarge Tarmac. Mars has also secured a high number of nominations. The brand-owner is shortlisted four times across three categories, namely Marketing Communications, Global Marketing, and twice in Cause Related Marketing. Bookmaker Paddy Power's 'Right Behind Gay Footballers' campaign is shortlisted in Cause Related Marketing, Marketing Communications and Brand Activation. 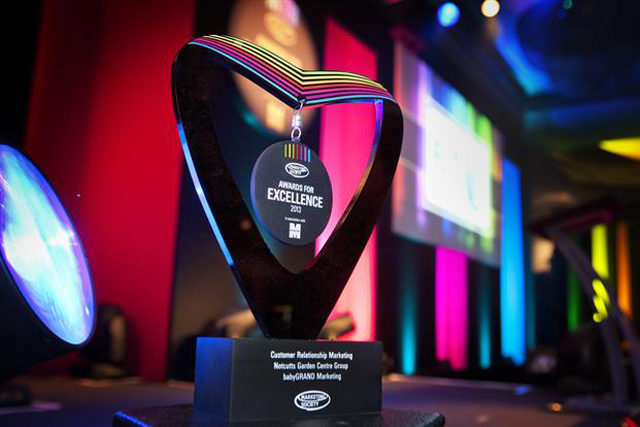 Jaguar Land Rover, easyJet and ASOS also make three appearances in the shortlist. Elsewhere, the New Brand nominees include BSkyB for Now TV, Hailo for its Hailo app, Heineken UK for Desperados, Renault UK for Dacia and UKTV for the Drama Channel. The results will be revealed at The Marketing Society’s Awards for Excellence on Thursday 5 June at the London Hilton on Park Lane. Visit www.marketingsocietyawards.com to buy tickets. In the meantime, Marketing readers can cast their vote on who they think should be crowned Marketing Leader of the Year on The Marketing Society’s dedicated page until 5pm on Friday 23 May. Paddy Power for "Right behind gay footballers"
Abbott Mead Vickers BBDO and BBDGO for "The Distance to Raise Money and Morale"
Paddy Power and Stonewall for "Right behind gay footballers"